If you’re anything like me you want Christmas Day to be perfect. I have been planning my table and wrapping the presents. I usually have a side table with food which we can snack on during the day but we also have cake, drink and savoury snacks. 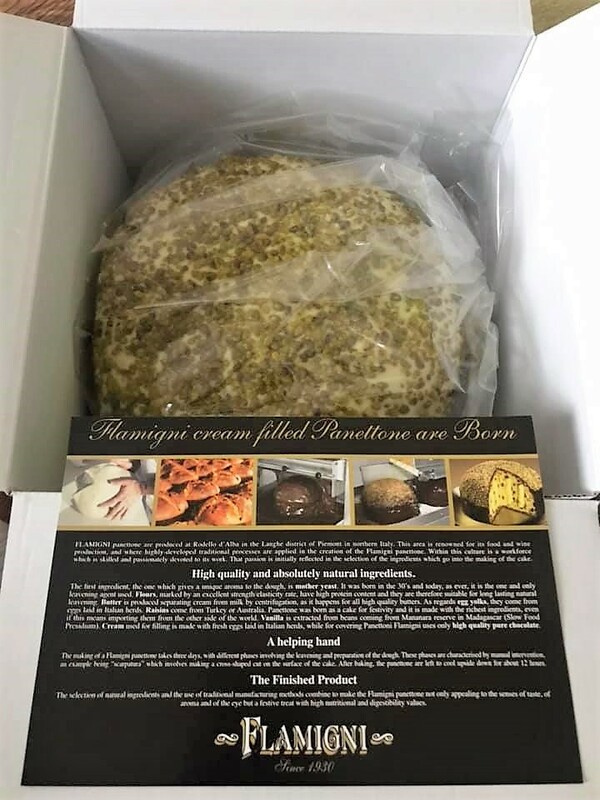 When Sous Chef contacted me to try out some of their products I was instantly drawn to their Flamigni Luxury Pistachio Panettone. I love food and as it’s nearing Christmas I thought this would make an amazing centrepiece on my dessert table! Sous Chef is the shop for people who love cooking. They supply ingredients, equipment, table wear and gifts inspired by leading restaurants and international food. Based in North London with a warehouse full of fabulous things, ready for next day delivery. Whether you’re a home cook or professional chef, their range has something to suit everybody. 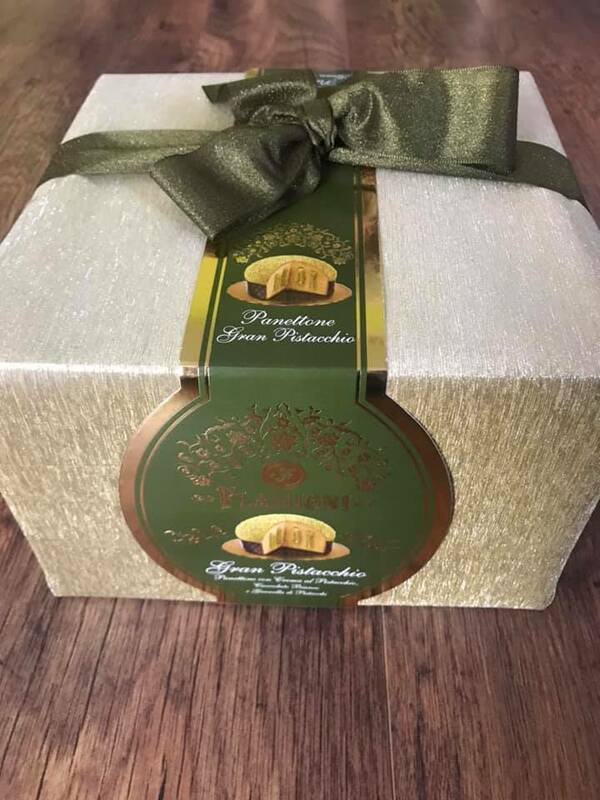 The panettone is spectacularly indulgent and perfect for pistachio lovers! I arrived beautifully packaged in high quality gold shimmering wrapping paper and a decorative green bow. It is encased in a cardboard sleeve which contains all of the need to know ingredients and information. Unwrapping the panettone definitely put me into the Christmas spirit! Underneath the paper you will find the panettone wrapped in a clear bag inside a cardboard box. There is also a little information leaflet provided inside. On removing the panettone you can instantly smell it. I so wish someone had invented smell-o-vision because I would love for you to be able to smell how amazing this is! The appearance of the panettone is striking. It would make a wonderful centrepiece. 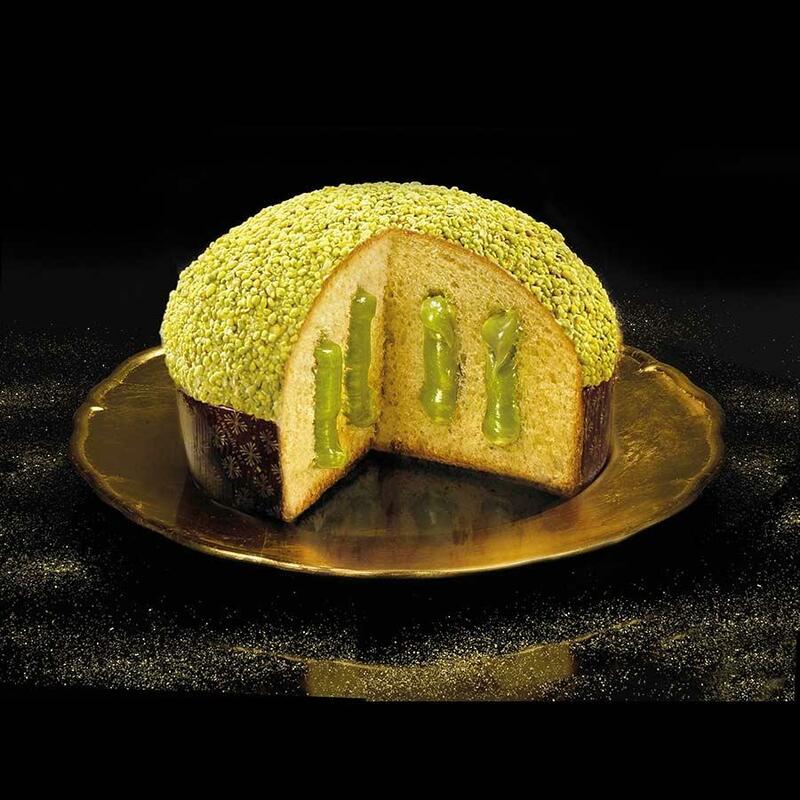 Inside the panettone you will find lashings of pistachio cream run through the centre, along with white chocolate and crushed pistachios cover the top. The flavours are truly fantastic and unique. The Flamingi panettones take three days to make! The dough is slow-leavened for exceptional texture when baked. Each panettone is shaped and scored by hand. The Italian love affair with pistachios has been going on a very long time. So it’s only natural that they would combine them with their traditional Christmas bread. Flamigni panettone are produced at Rodello d’Alba in the Langhe district of Piemont in northern Italy. The area is renowned for its food and wine production. The ingredients are all high quality and natural. 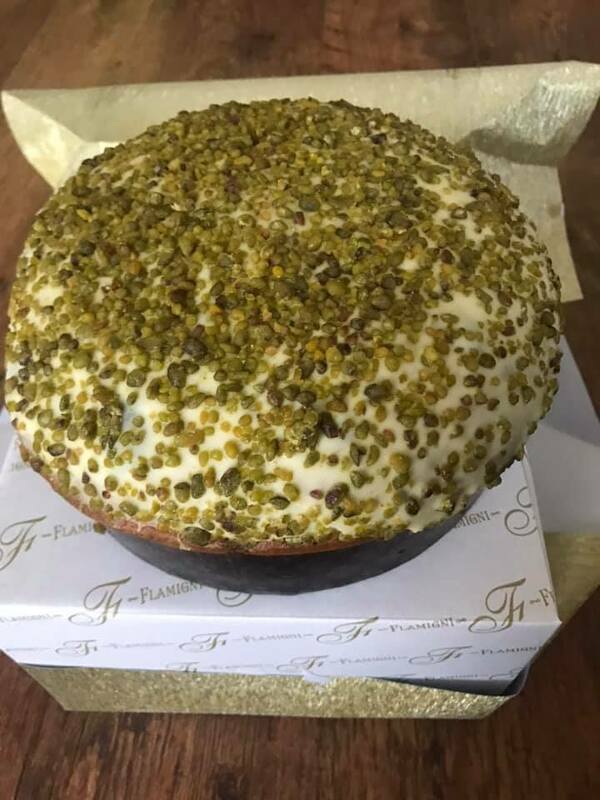 Accompany this luxurious pistachio panettone with a cup of coffee or even a glass of bubbly! 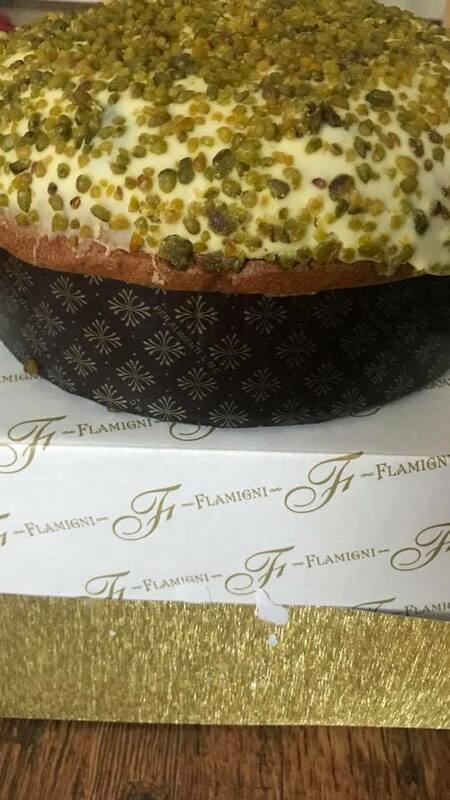 I would highly recommend the Flamigni Luxury Pistachio Panettone (950g) which is available from Sous Chef at £27.50. You can view Sous Chefs other main gifts on their website. For the purpose of this review I was sent one Flamigni Luxury Pistachio Panettone. All thoughts and opinions are my own.